Paul Broun is raffling off an AR-15 during his U.S. Senate campaign. 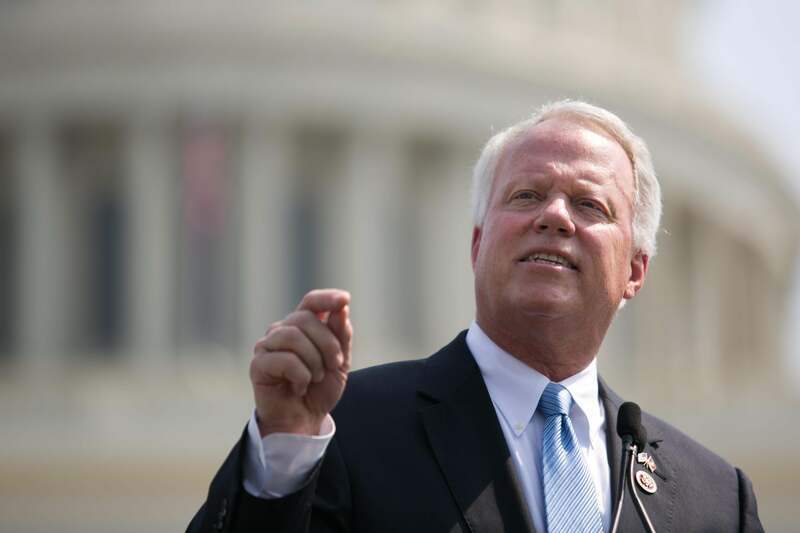 Rep. Paul Broun will give away a gun, but not your Second Amendment rights. The Sandy Hook-inspired push for gun safety legislation resulted, as we know, in no actual bill. But we can credit the debate over legislation with a healthy trend—candidates and political parties raffling off AR-15s. It’s cheap, it’s attention-grabbing, and it’s always a news story. Conservative readers pump their fists; liberals share their outrage with friends on Facebook. This current wave of AR-15 contests started, I think, with the National Association for Gun Rights. It offered the gun (as part of a contest) in a sort of victory lap after the defeat of Manchin-Toomey. “THE firearm Barack Obama and the gun-grabbers want to ban,” crowed the NAGR. That sort of language, which is only loosely true (an assault weapons ban would block the AR-15, but Manchin-Toomey didn’t), appears in most AR-15 contest boilerplate. It appears in the latest entry in the genre, from the U.S. Senate campaign of Georgia Rep. Paul Broun. As one of the most conservative members of Congress, and a staunch supporter of the 2nd Amendment, I am constantly under attack for my values and beliefs. How would you like to start off 2014 with a brand new AR-15 for free? Barack Obama would like nothing more than to ban the AR-15 rifle - and that’s exactly why I’ve decided to give away a free AR-15 to one of my fellow 2nd Amendment supporters. That’s right, follow this link to add your name to be automatically entered to win a semi-automatic AR-15. All you need to do is follow this link to enter and register to win an AR-15. The deadline to enter is Thursday, February 27th. You see, it’s no secret that the Democrats and liberal media would love to take away our guns and mandate every aspect of our lives, but I refuse to let them get away with that. Broun, who won a special election in a 2007 upset and has frustrated his party by continually winning re-election, is seen by Democrats as the most beatable legitimate primary candidate. Their candidate, Michelle “daughter of Sam” Nunn, has never run for office before, and is unlikely to raffle off any firearms.